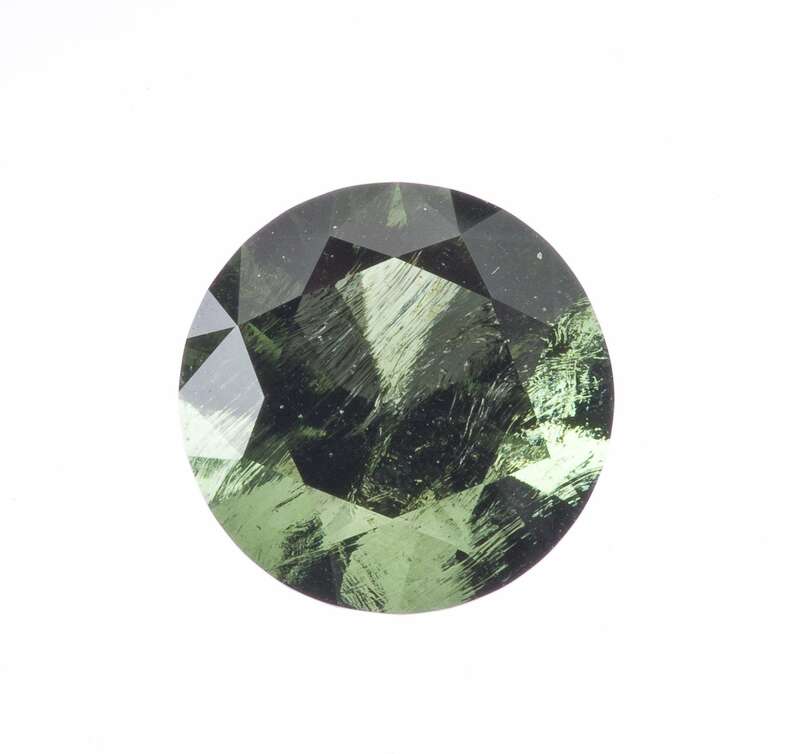 Moldavites are a gemmy tektite from Czechoslovakia. 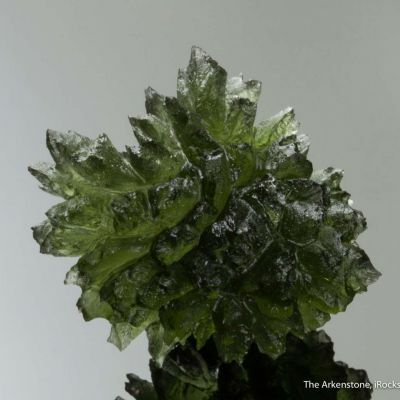 They used to be a mineralogical mystery, but scientists now tend to believe they are an impact material formed from a meteorite scorching the earth and launching melted fragments into the air. 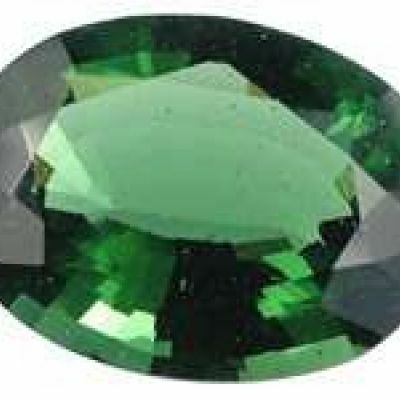 It is technically a green natural glass, formed from fused earth, in other words. The impact of a meteorite in Bavaria 15 million years ago (the present Ries crater) has thus yielded us a unique gem. 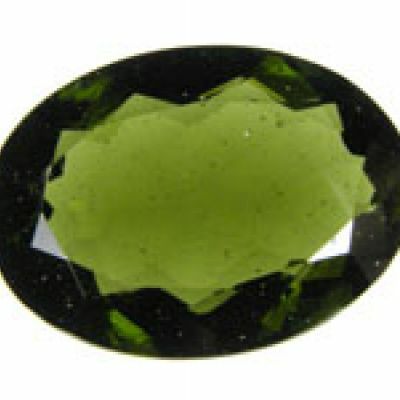 They are fascinating natural objects and make very unique and pretty collector's stones. This is a rounded brilliant cut of good size. The stone is clean, and really shows off the deep green color. Classic material and a real conversation piece. Relatively inexpensive too!